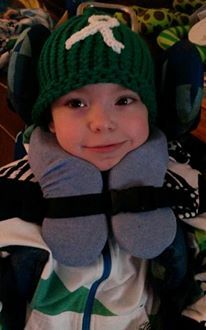 I made this special hat for Conlan, who has severe cerebral palsy and is known as the Hat Man since he wears all types of hats all the time. In addition to dealing with cerebral palsy, Conlan’s grandfather is in Stage 4 of Lung Cancer and has moved in with Conlan’s family. 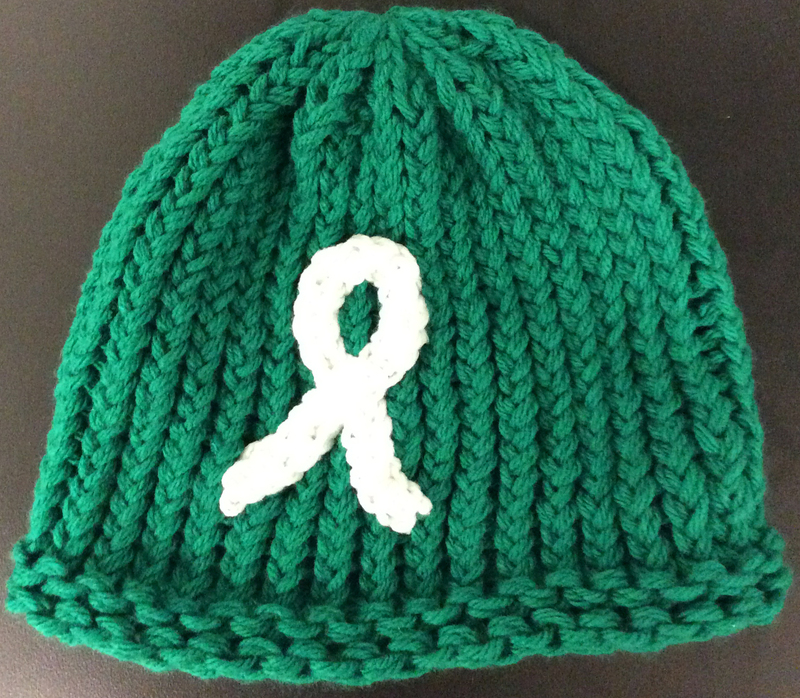 So on the back of the Green Lantern hat, I made a white ribbon to celebrate his grandfather and bring awareness to his battle with this extremely horrible disease. 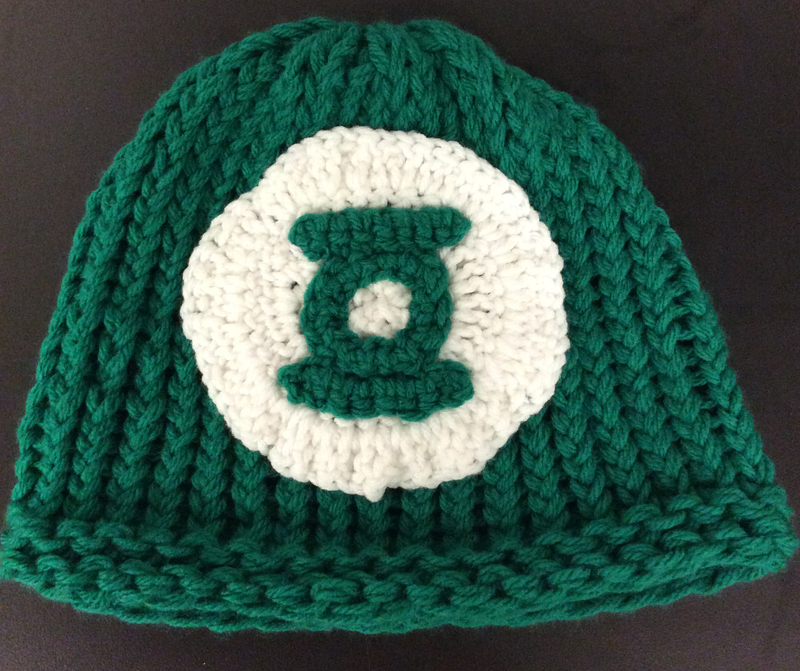 Conlan’s name mean hero, so we think it’s quite fitting that he has a Green Lantern hat! Conlan wore the hat to school and everyone loved it on him! We will keep Conlan and his entire family in our prayers. We made these 4 hats for Superman and his sister, Diva. Superman has indeed earned this super hero title being born at 27 weeks weighing in at just 1lb 10oz. He has been such a fighter his whole life and has been diagnosed with many disabilities that he tackles everyday. He has been diagnosed with Diabetes Insipidus, Cerebral Palsy, and Epilepsy. Today, he is doing well tackling each and every day. 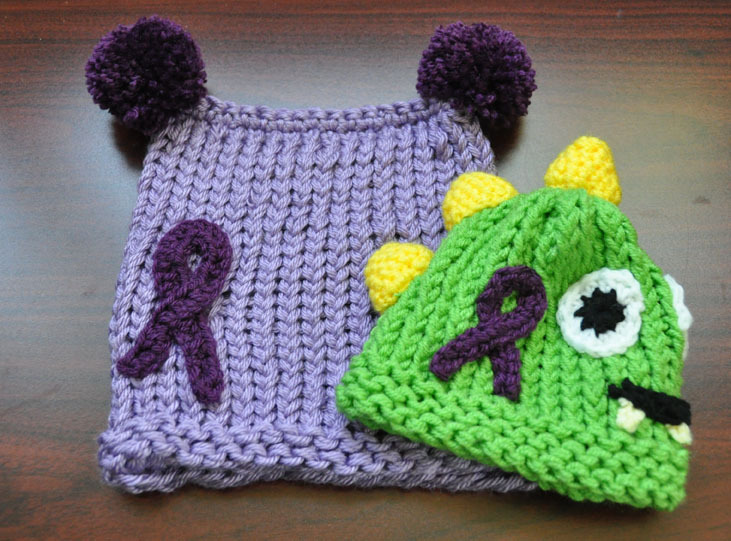 We made the hats pictured above with the awareness ribbons so that Superman and Diva can bring awareness to the world about Epilepsy (Purple Ribbon) and Cerebral Palsy (Green Ribbon). Please visit Superman’s blog at Living with Superman to show your support. 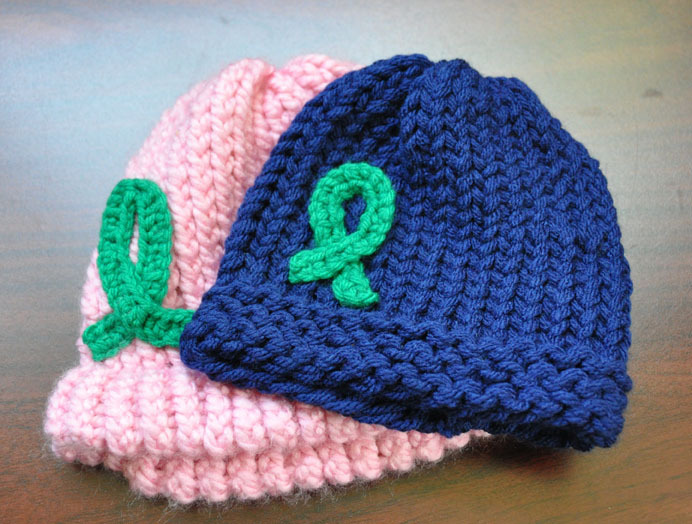 Also check out a post specifically written about receiving the hats at: An Amazing Gift of Warmth. You can view the images of the kids wearing their hats and read about Superman on the link.